This month in honor of Presidents Day I wrote a post on Presidential Funerals in which I discussed the traditions and customs involved in the planning of these events. Personally, in recent years I have helped to plan several funerals for family members and in the process I have searched the internet for ideas. 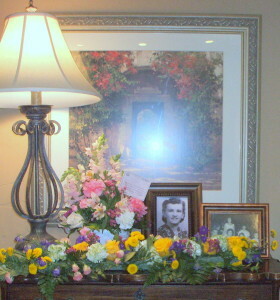 In general, craft information to create decorations or displays for a funeral are difficult to find and most websites that I found on the internet were for ready-made items to purchase. 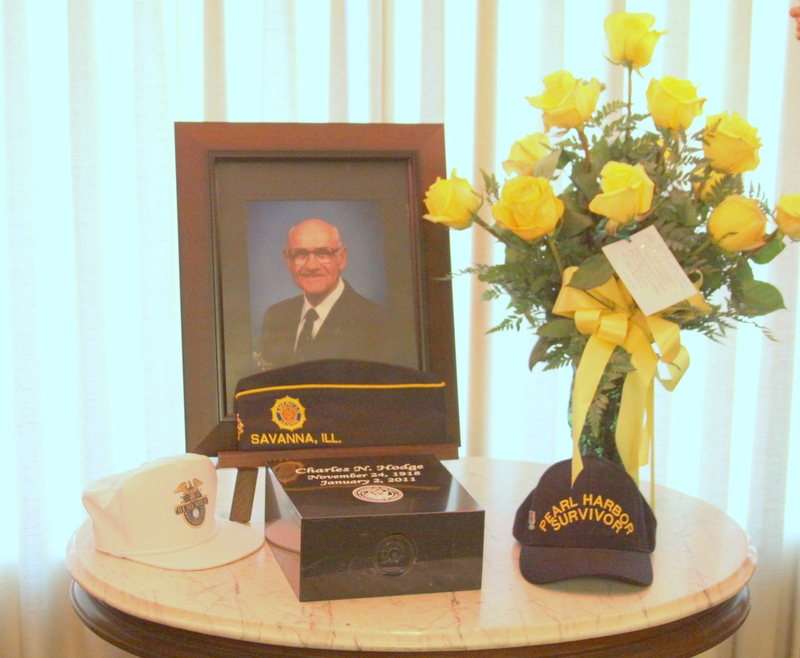 In this post I discuss the numerous funeral or memorial items that I have made and I will also offer suggestions for additional items. When planning the elements for a funeral or memorial service the focus should be on the deceased person and all the items used should in some way reflect their personality, interests or have special meaning that tells the story of their life. 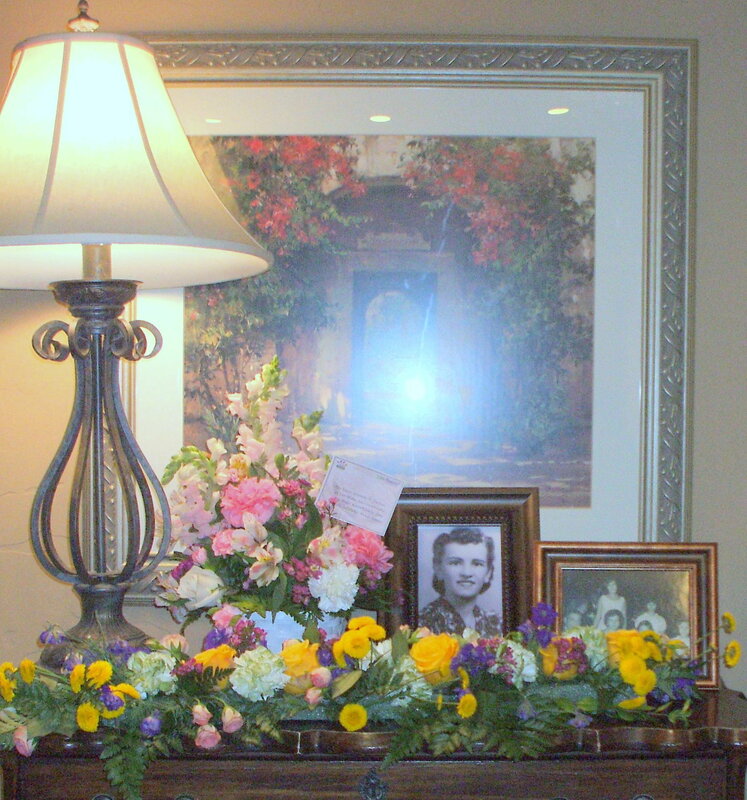 Another type of display arrangement to create for a funeral or memorial service is by incorporating memorabilia of the deceased person. For my husband’s grandfather’s service his special Pearl Harbor Survivor hats were set out on the table. For my husband’s grandmother’s service several of her paintings were set out on the mantel of a fireplace with a specially made shadowbox displaying her many art show ribbons collected throughout the years. 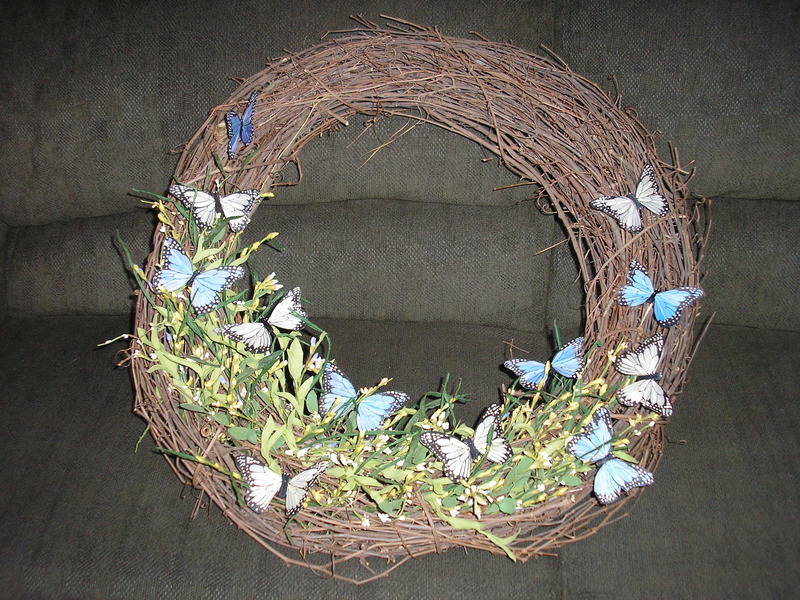 For the memorial service for my husband’s nephew, I made a wreath decorated with artificial flowers and butterflies for the welcome table, butterflies were the general theme of the service (look for a photo of this wreath later in this post). 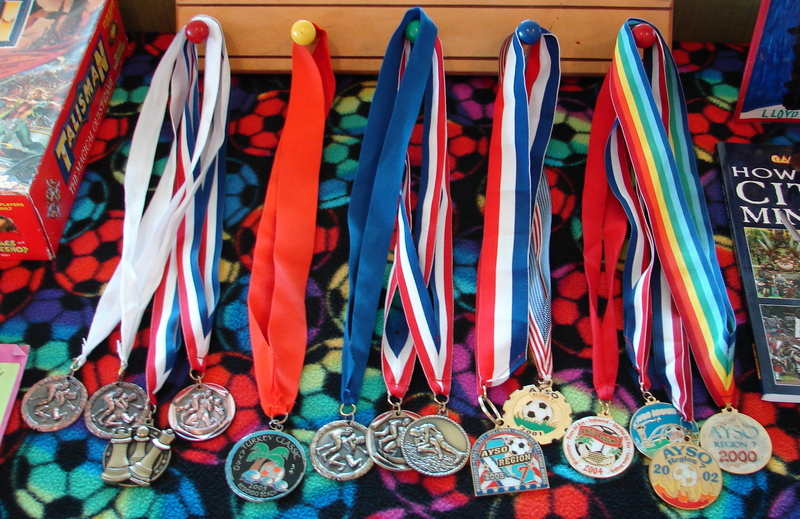 Since the deceased was a young boy, his mother wanted to display his many sports awards and also his school projects made throughout the years. 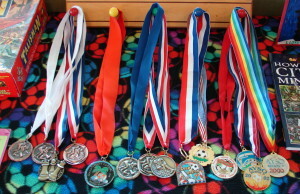 On the fireplace mantel in the room we set out more framed photos, sports awards and a stack of his favorite books. Before the service started the guests moved about the room looking at all the displays. 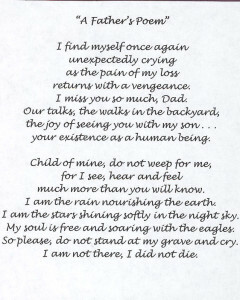 When planning a funeral or memorial service there are usually numerous decisions to make in regards to selecting songs, prayers or poems. Much like the choices made for the decorations, when planning the elements for a funeral or memorial service the focus should be on the deceased person and the selections made should reflect their personality, interests or have special meaning. 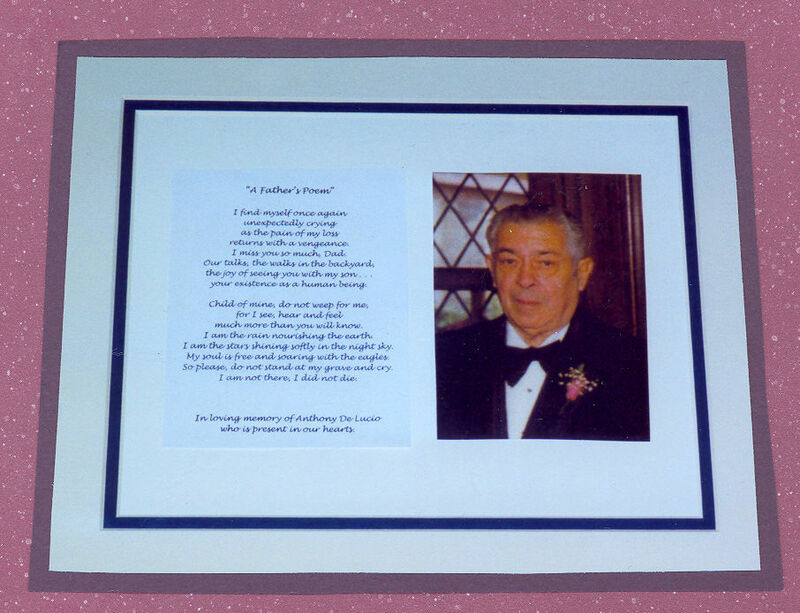 A wonderful element for a funeral or a memorial service is a personalized video presentation which includes a selection of photos showing the life of the deceased person set to specially selected music. Together my husband and I have done this for the funeral and memorial services of several relatives (and also for various milestone birthdays or anniversaries). There are many different applications and programs that can be used to create a video and the one that you choose comes down to personal preference. 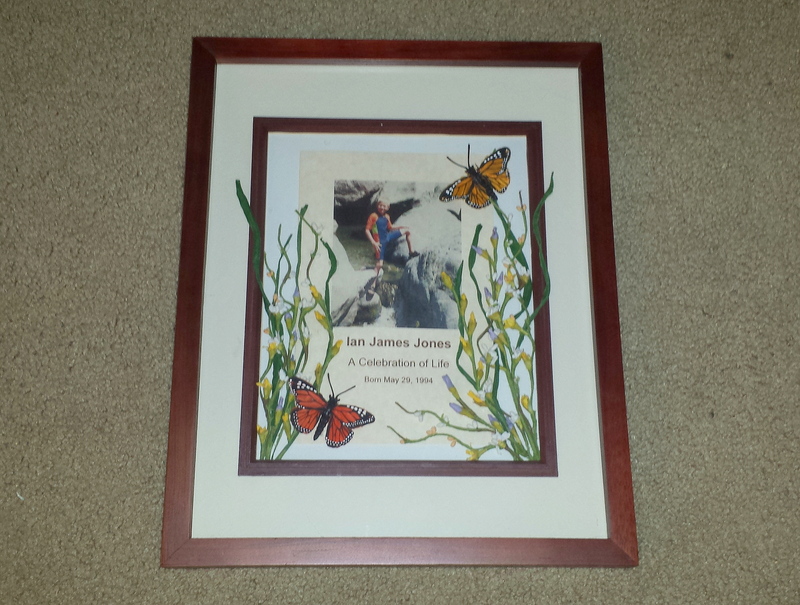 For the memorial service of my husband’s nephew we used a theme of butterflies and I purchased inexpensive artificial butterflies from my local craft store which we pinned to the clothing of the immediate family, grandparents, aunts, uncles and great-grandparents. 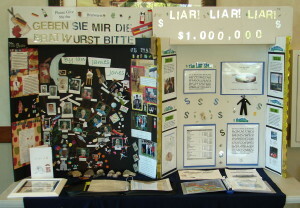 This was a wonderful way to incorporate the theme of the service and also to identify the relatives of the deceased boy. 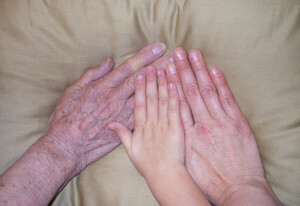 After a funeral or memorial service there is sometimes memorabilia to preserve or to honor the deceased person. 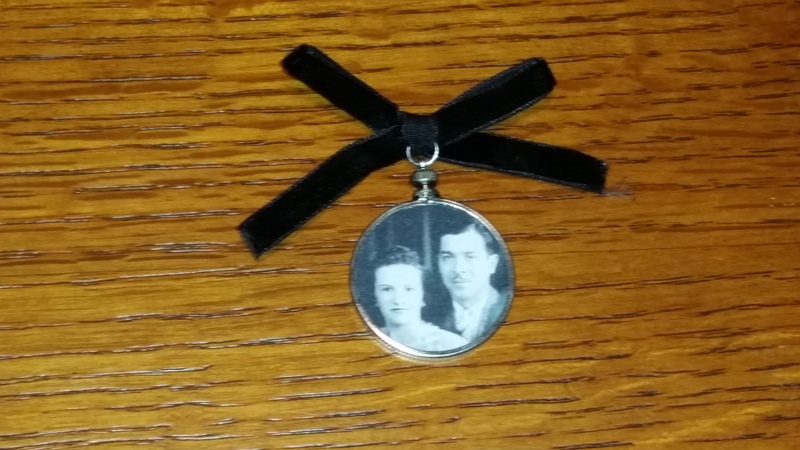 The first item shown below was actually used at my wedding and was something I created to honor my father who had passed away several years earlier. 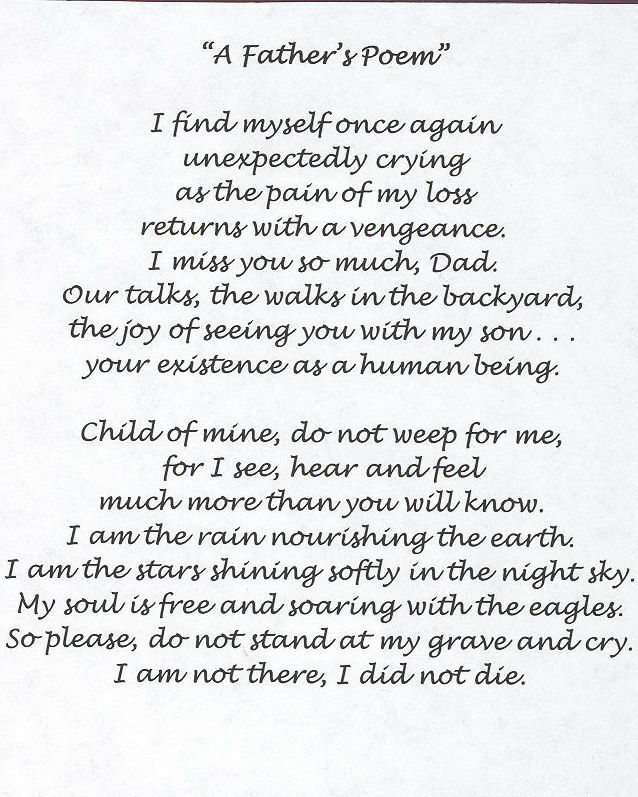 I used a photo of my father and found a special poem on the internet that I printed on my home computer and it perfectly reflected my feelings about him. Shown below is the special memorial piece that I placed on a table with a floral arrangement and some candles. 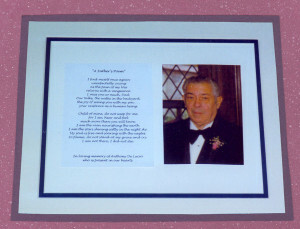 I used a simple wooden frame, selected a double photo mat and then inserted both my father’s photo and the special poem. 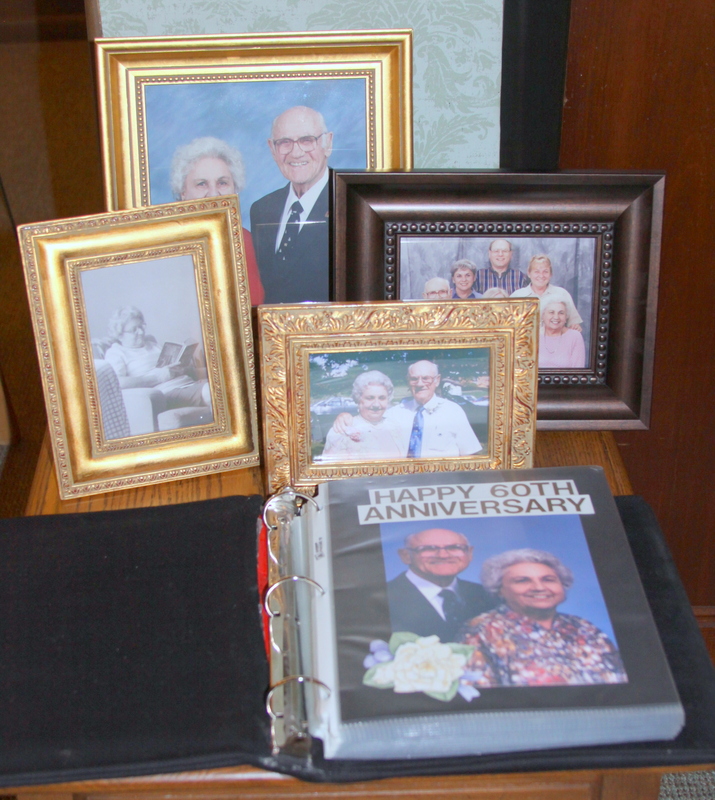 Even though this item was used for a wedding the idea could also be a special piece to display on the welcome table at the funeral or memorial service or could be used afterwards to display in a home to remember and honor a deceased person. 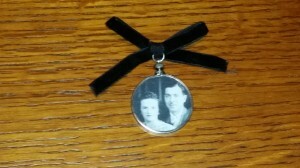 Another idea instead of a traditional frame is to use a shadowbox frame that could include a boutonniere or flower from the funeral or memorial service. 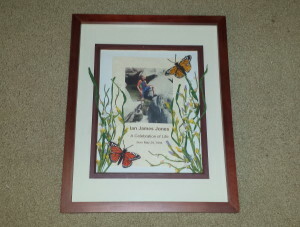 The next two items were created to preserve the memory of my husband’s nephew. The first was the special wreath I created to displayed on the “welcome table” at the memorial service and it was saved to be used afterwards for a front door decoration. I used a simple grapevine wreath, flowers and 12 blue butterflies were also attached to the wreath to reference the age of the boy at the time of his death. The second item I created was a special piece which I presented to the mother after the service. I used the program from the memorial service, some of the flowers and stems from the wreath and two of the butterflies which were originally used as boutonnieres. 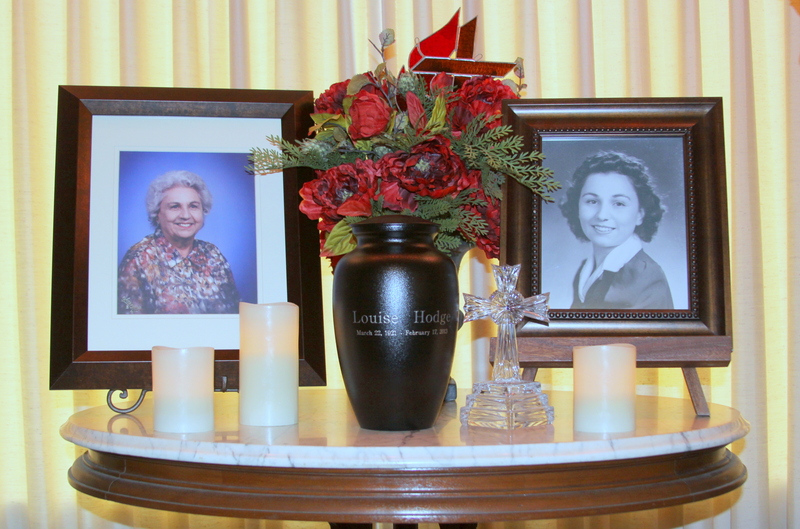 For my mother’s funeral service I wanted to create a very special and sentimental wreath. The floral wreath that I made features white roses which were my Mother’s favorite flower. 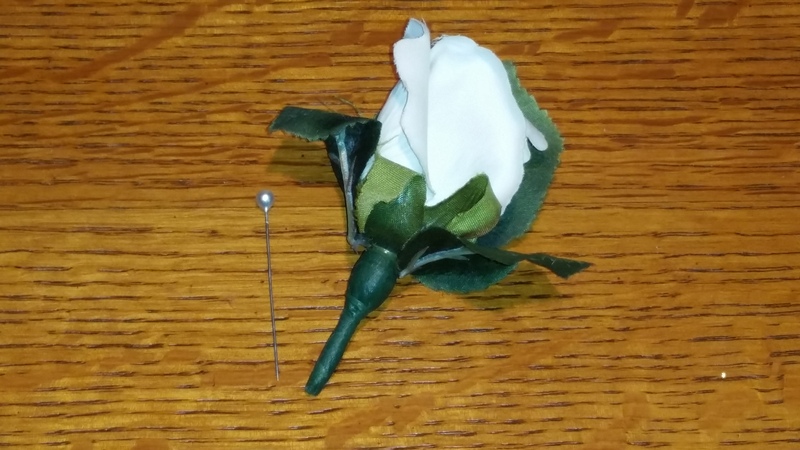 I used six white full roses to represent my parents and their four daughters, nine white rose buds to represent their nine grandchildren. 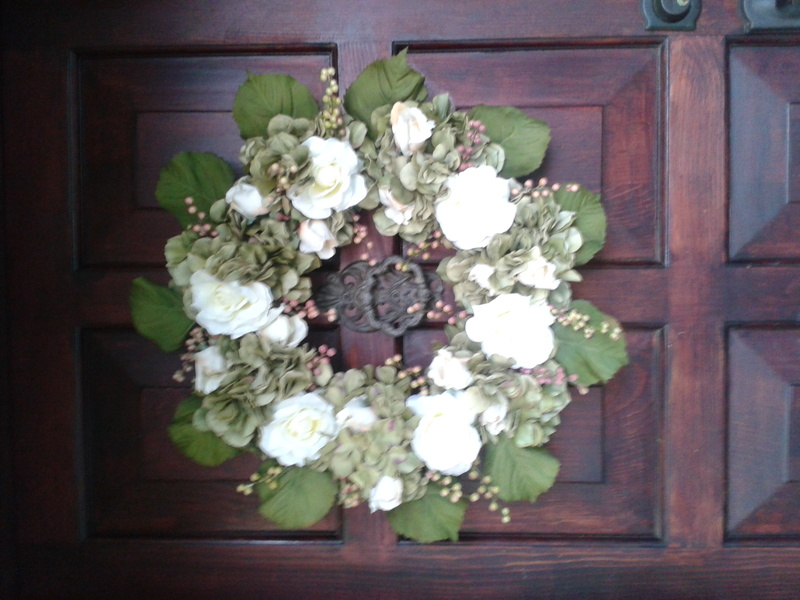 I finished the wreath with green hydrangeas and berries in a lovely pastel shade of rose pink. By creating this special wreath instead of purchasing one from the local floral shop turned out to be a blessing. Let me explain, first by taking the time to make the wreath I was able to honor my mother’s creative talent which was something she passed on to me. Second, as I made the wreath I was able take the time to reflect on my memories of her and start to process my grief from her passing. I still use the wreath as a floral decoration for my front door and instead of making me sad it brings me serenity and peace in remembering and honoring my mother.